Much of my attention for the past two years has been on the “software” side of gun culture – mindset and training. 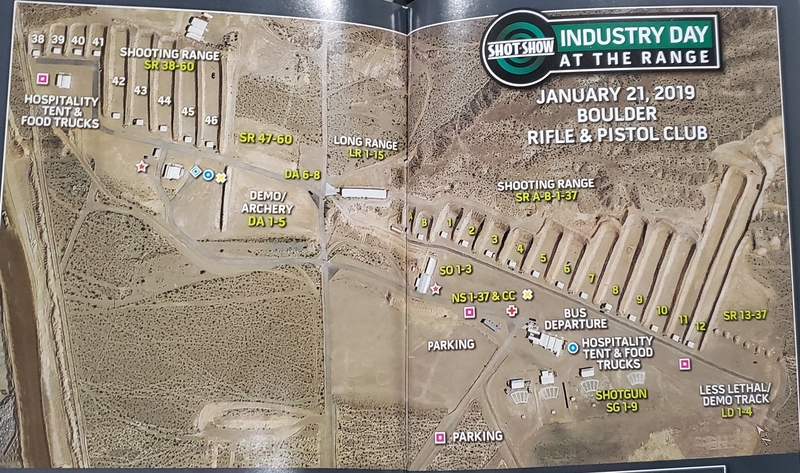 Attending the National Shooting Sports Foundation’s annual Shooting, Hunting and Outdoor Trade (SHOT) Show draws my attention back to “hardware,” the material dimension of gun culture. 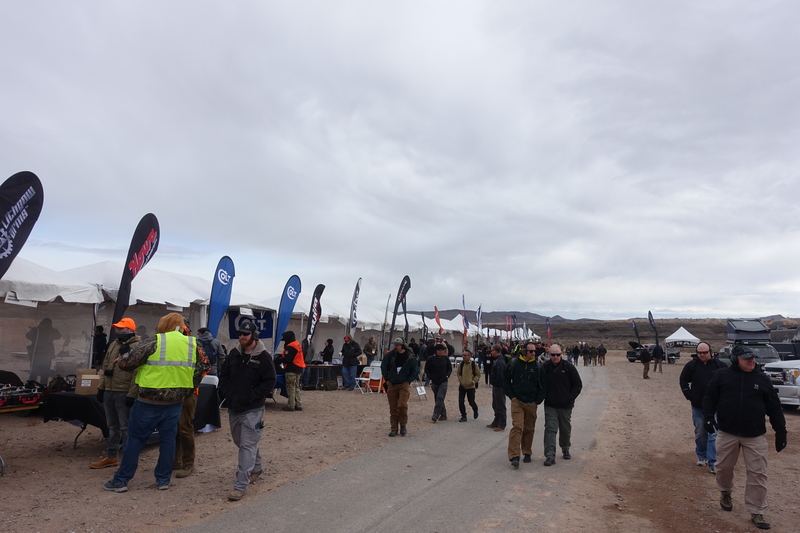 Industry Day at the Range (in its 14th year now) brings together over 1,700 members of the media and buyers with over 200 manufacturers who make their latest products available for hands on testing. Buyers are not allowed in until noon, so John and I grabbed the first shuttle from Bally’s hotel at 7:45am and made the 30 mile ride past Boulder City to the Boulder Rifle & Pistol Club. The facility was huge and windy and not exactly warm. I am not a super gear head so slight modifications in firearms (sometimes called “line extensions”) aren’t terribly interesting to me. I actually had the good fortune to chat for a few minutes with Michael Bane (from whom I stole the “Gun Culture 2.0” name) at the Crimson Trace booth, and he expressed a similar lack of excitement for the few new product introductions he had seen. Reflex red dot sights on pistols are becoming more and more popular, and so I was not surprised to see these at several pistol bays. 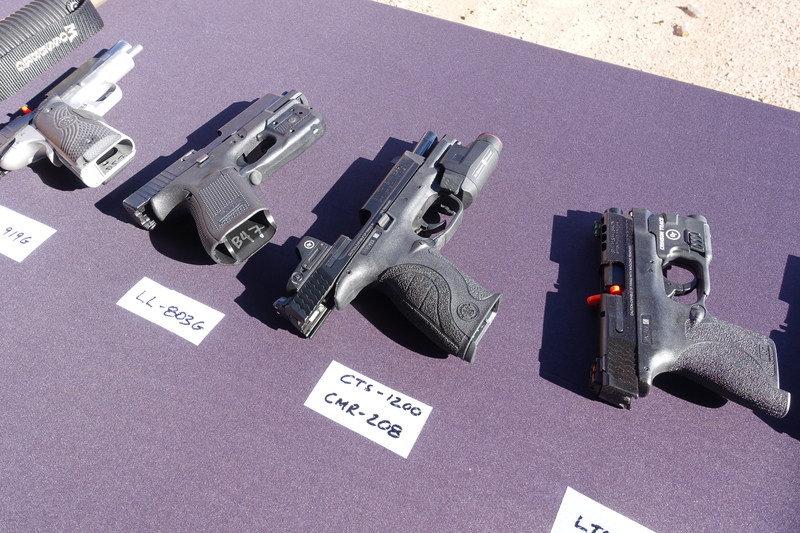 I noted in particular the Crimson Trace CTS-1200. With the Crimson Trace brand behind it and selling for $199 on OpticsPlanet ($299 MSRP), this seems like it could be a big hit for those interested. Walther was also promoting their PPS M2 concealed carry pistol with a Shield Sights RMSc (Reflex Mini Sight Compact). As I had found previously, if you can get the red dot on the target and maintain proper shooting mechanics, you can hit the target. Doing this on a static range and doing it in real life, however, are two different things. Training with the red dot seems essential to using it well, so I am not rushing out to get a reflex sight just yet (though in a world of endless money, I would). Various “brand ambassadors,” including some I have met before or can even say I know, were at the range day promoting their brands. In my next post I will mention a few shooting stars I saw and the products they were pushing. Tags: Crimson Trace, Michael Bane, National Shooting Sports Foundation, red dot sights, SHOT Show, Walther Arms. Bookmark the permalink.